10 Then the disciples went back to their homes, 11 but Mary stood outside the tomb crying. 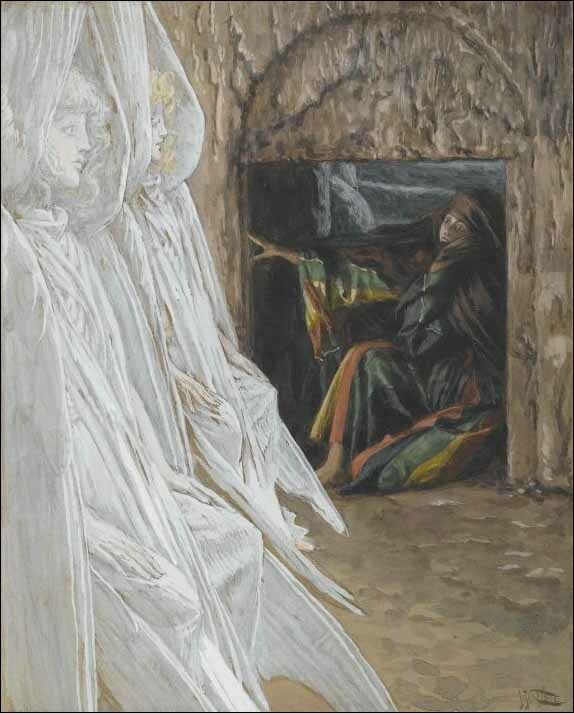 As she wept, she bent over to look into the tomb 12 and saw two angels in white, seated where Jesus' body had been, one at the head and the other at the foot. 13 They asked her, "Woman, why are you crying?" "They have taken my Lord away," she said, "and I don't know where they have put him."